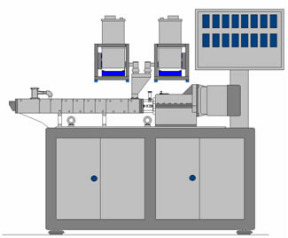 TSHÂ SeriesÂ Co-rotatingÂ TwinÂ ScrewÂ ExtruderÂ areÂ widelyÂ usedÂ inÂ theÂ compoundingÂ modificationÂ field,Â likeÂ theÂ filling,reinforcement,tougheningÂ ofÂ plastics,Â engineerÂ plasticsÂ andÂ thermoplastics,andÂ alsoÂ forÂ theÂ specialÂ fibersÂ andÂ adhesiveÂ process.MainÂ productsÂ areÂ classifiedÂ asÂ TSHÂ &Â TDHÂ series,accordingÂ toÂ theÂ maxÂ screwÂ rpmÂ andÂ itsÂ torqueÂ rating.AllÂ modelsÂ andÂ partsÂ haveÂ beenÂ upgradedÂ withÂ modernizeÂ CNCÂ equipment.Â OurÂ customersÂ willÂ haveÂ wholeÂ productsÂ rangeÂ toÂ meetÂ theirÂ uniqueÂ requirements. AsÂ theÂ segmentÂ structureÂ design,Â theÂ equipmentÂ canÂ beÂ configuredÂ withÂ differentÂ L/D,barrelÂ designs,Â Â screenÂ changer,Â pelletizingÂ system,Â and/orÂ electricÂ control,Â toÂ bestÂ meetÂ uniqueÂ requirementsÂ ofÂ differentÂ process.CauseÂ ourÂ betterÂ understandingÂ ofÂ theÂ differentÂ material,Â theÂ screwÂ configurationÂ isÂ designedÂ Â basedÂ onÂ richÂ experienceÂ andÂ softwareÂ technologyÂ toÂ accomplishÂ theÂ materialÂ conveying,Â plasticizingÂ compounding,shearÂ andÂ dispersionÂ andÂ pressurization. ScrewÂ elements,Â accuratelyÂ designedÂ withÂ CNCÂ technology,Â areÂ fullyÂ intermeshed,Â providingÂ self-cleaningÂ andÂ easyÂ interchangeability.UpgradingÂ accuracyÂ andÂ qualityÂ ofÂ theÂ standardÂ andÂ highÂ torqueÂ gearÂ box.Â TheÂ specialÂ newÂ typeÂ barrelÂ structureÂ andÂ screwÂ elementsÂ beenÂ manufacturedÂ withÂ ourÂ powerfulÂ designÂ experience. TendaÂ ,Â headquarteredÂ inÂ Nanjing,Â China,Â isÂ aÂ globalÂ manufacturingÂ andÂ tradingÂ companyÂ inÂ theÂ fieldÂ ofÂ highÂ performanceÂ plasticsÂ andÂ rubberÂ processingÂ equipmentÂ ,Â extrusionÂ solutions,Â masterbatchÂ andÂ compounding,Â etc.Â It isÂ aÂ professionalÂ manufacturerÂ ofÂ twinÂ screwÂ extruder,Â singleÂ screwÂ extruderÂ ,twoÂ stageÂ extruderÂ andÂ itsÂ relatedÂ auxiliaries.WeÂ tailorÂ solutionsÂ fromÂ rawÂ materials,Â materialsÂ processingÂ equipment,Â toÂ injectionÂ forÂ differentÂ customers.Â Each solutionÂ isÂ designedÂ ,Â manufactured,Â andÂ commissionedÂ byÂ experiencedÂ teamsÂ ofÂ professionalsÂ engineersÂ andÂ afterÂ salesÂ staffs. "HighÂ efficiency,Â energy-saving"Â isÂ theÂ companyÂ sinceÂ itsÂ inceptionÂ hasÂ beenÂ diligentlyÂ pursueÂ theÂ goal,Â isÂ theÂ companyÂ adhereÂ toÂ theÂ invariantÂ features,Â toÂ meetÂ customerÂ requirements,Â toÂ createÂ greaterÂ economicÂ benefitÂ andÂ socialÂ benefit. "TengÂ machinery"Â willÂ striveÂ toÂ createÂ superiorÂ machineÂ quality,Â permanentÂ serviceÂ forÂ you. YouÂ canÂ getÂ aÂ veryÂ fairÂ priceÂ fromÂ usÂ andÂ ourÂ priceÂ canÂ makeÂ youÂ beatÂ yourÂ competitorsÂ inÂ theÂ market. OurÂ productsÂ haveÂ obtainedÂ ISO9001Â andÂ CEÂ certification,theÂ qualityÂ canÂ beÂ guaranteed. WeÂ useÂ theÂ bestÂ qualityÂ materialsÂ orÂ importedÂ materials. 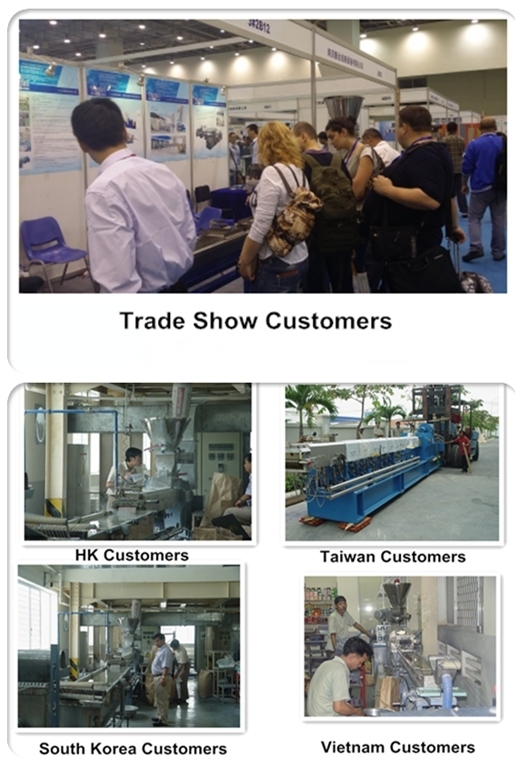 WeÂ focusÂ onÂ theÂ fieldÂ ofÂ extrusionÂ machine,andÂ aimÂ toÂ beÂ theÂ bestÂ manufacturerÂ ofÂ thisÂ field. WeÂ canÂ replyÂ quicklyÂ forÂ customers'Â demandÂ andÂ theÂ deliveryÂ canÂ beÂ veryÂ fast. WeÂ haveÂ ourÂ ownÂ factoryÂ andÂ theÂ technicalÂ productionÂ team,theÂ workersÂ areÂ allÂ veryÂ experienced. L/C,Â T/T,Â WesternÂ Union,Â Paypal,Â MoneyÂ Gram.